Log in so you can join the fun! 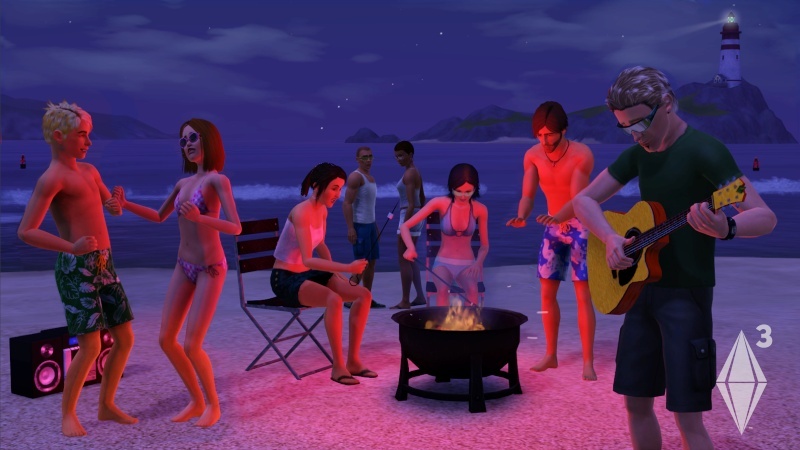 A community for simmers who love Sims 3 and love to share their hobby with other simmers. » What are you working on? I receive the following error in CAW every time I update to a new expansion or stuff pack. Attempted to read or write protected memory. This is often an indication that other memory is corrupt. This time I received it even after installing Generations game updates, uninstalling CAW and installing the newest version, giving CAW admin access as well as giving myself full access on all the associated folders/files. I usually resolve the issue by enabled Large Address Aware which allows CAW to use more RAM. I feel like I've resolved it just with giving CAW admin access before, but that hasn't worked the last few times, so now it's LAA for me. I've found the easiest program is Large Address Aware at Tech Power Up. The tutorial and download is located here. The MtS program doesn't recognize CAW, at least not for me. After downloading and extracting the executable, run it and select CAW.exe. Check the Large Address Aware Flag box and then click on Save. 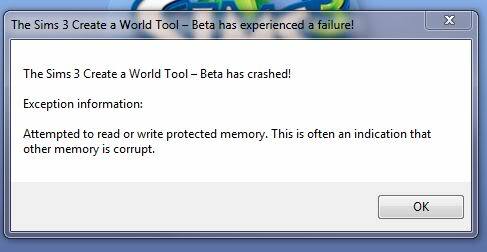 You should no longer get the error message when opening CAW. At least, it just fixed it for me! Hope this helps someone! OMG! Gouka, I love you right now. I'm really glad I was able to help! Not that I want anyone else to experience errors, but it's nice to know this information was useful to someone. I'm about to start a few general troubleshooting tips for the vague "did not save" error that EIG can give.